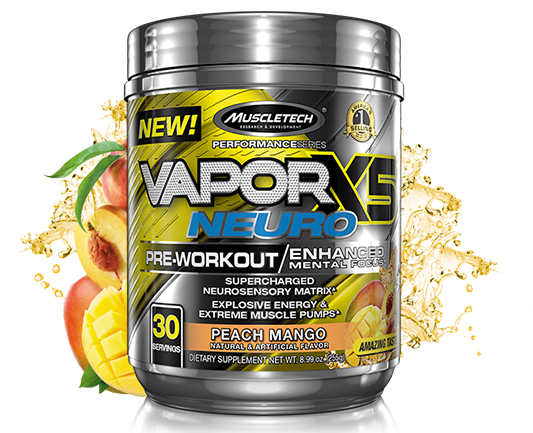 VaporX5™ Neuro is the most supercharged neurosensory pre-workout from MuscleTech®. This potent formula delivers a powerful combination of researched ingredients not found in any other formula for an unparalleled sensory experience. On top of this, VaporX5 Neuro also has everything you’d expect from your pre-workout to deliver insane pumps, scientifically tested musclebuilding power and extreme energy to get you amped up for your toughest workouts.